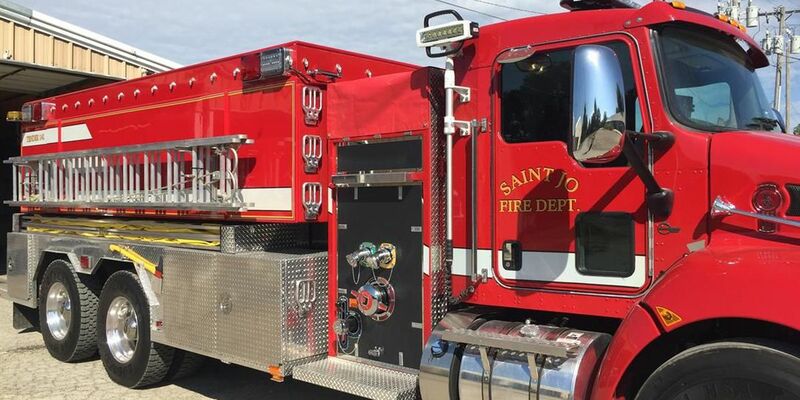 SAINT JO, TX (KSWO) — Texas A&M Forest Service recently awarded a $200,000 grant to Saint Jo Volunteer Fire Department for a new brush truck through the Rural Volunteer Fire Department Assistance Program. The truck, a 2016 Kenworth tanker, is a replacement for the department's 16-year-old Ford tender with a drop tank. The new truck has a 1,250 gallon per minute pump and can carry 3,000 gallons of water. "This truck is pretty much three trucks rolled into one," said Saint Jo VFD Fire Chief Scott Thomas. "You never know what you are going to run into when responding to a call, so the vehicle is well equipped for any situation, which allows us to be prepared when we arrive." The truck will be an all-around truck, used for structure fires, wildland fires and vehicle accidents.